This hopefully will put an end to the rumor. The rumor came from the leader of the Political Party OPL. Sauveur Pierre Etienne who came with the notion that the two Moises, Jovenel Moise and Moise Jean Charles whose real name is Jean Charles Moise would be blood relatives and that the two Candidates for President are Cousins. 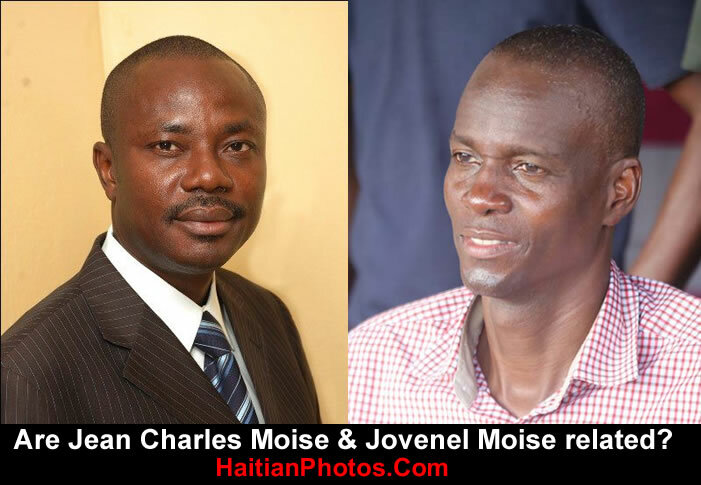 Moise Jean Charles did not waste time to react by denying any family tie with the Candidate of PHTK. He stated "Jovenel Moise is not my cousin". The candidate of Pitit Dessalines" I came from Milot in the North and Jovenel moise is from Trou-du-nNord in the north east. What a difference power can make. 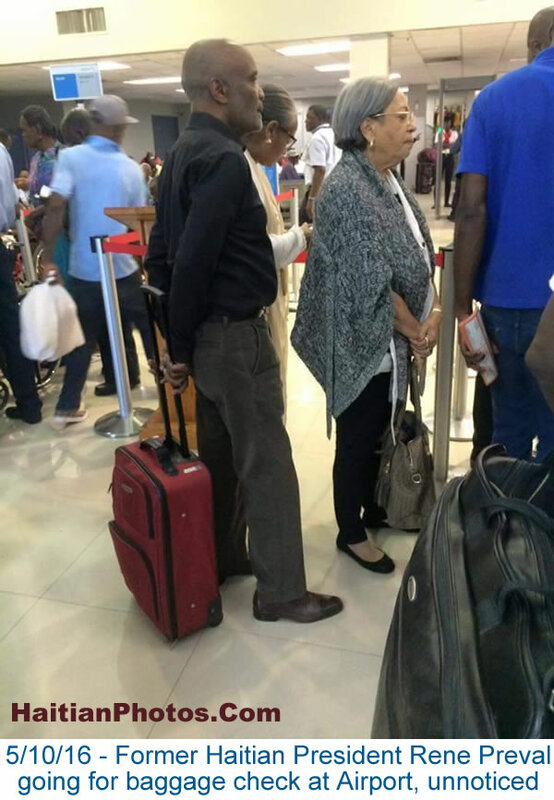 Here is a picture of former Haitian President Rene Preval in line to check his baggage as he is leaving the country. There are no securities, no one to carry the luggage, no diplomatic room for him. The guy looks like a regular passenger getting ready to take his flight. Some people see this as a sign of humility, suggesting that most would get straight to the front of the line without any regard to the others. However, he is not anybody. Rene Preval has manage to be the only Haitian president to serve two full five year terms as President of Haiti. 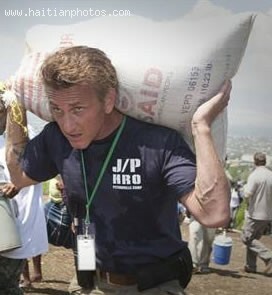 many would say he is the only president so far who really knows the Haitian people and how to deal with them. 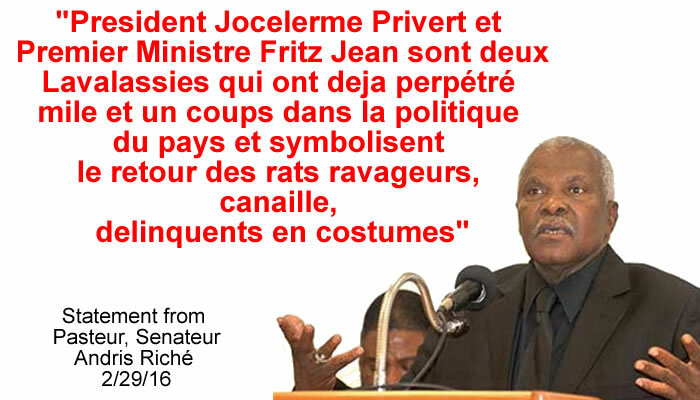 He is a master in Haitian politic. The son of former President Michel Martelly, Olivier Martelly, is unable to leave the country as he joins the quickly expending list of former officials forbidden from leaving the country until they can account for money they were responsible for spend for various projects during the government of Michel Martelly. Government Commissioner Jean Danton Leger wants to know how several millions of dollars for the explanation and building of parks and soccer stadiums throughout the country were spent. The current Minister of Justice, Camille Edward Junior, doesn't seem to have any problem with the decision of Jean Danton Leger to issue these travel restrictions, saying he is an experienced lawyer who knows the limits of his power. On Thursday, December 17, 2015, Dieudonne Pierre Bélizaire, better known as Sister Dona, the Director and founder of the orphanage of 'Sisters Redemptive of Nazareth", has been cleared of kidnapping charges in a criminal court in Port-au-Prince, and was released immediately. She was detained in the Civil Prison of Petion-ville since 21 June 2012 without any jury assistance in connection with the disappearance of Raphaël Chenet, a minor child from her orphanage on Sunday, June 5, 2011. She was held in custody following a complaint filed by Alfred Chenet, the father of the child, accusing she had sold his child although she had consistently claimed her innocence. He acquitted Sister Dona on charges of kidnapping, child trafficking and criminal conspiracy in the criminal court of the Palace of Justice of Port-au-Prince although as per the Registry records of the Kenscoff Peace Court, dated July 18, 2011, the culprit, a former employee of the orphanage Djimmy Mémé, did confess his crime. It further states that no person in the orphanage was involved in the crime. Moreover, it was a noted fact that Sister Dona was not in Haiti during the time of the crime. Guy Philippe is back. The former rebel army who contributed to the exile of former president Jean Bertrand Aristide is now making new threats. According to Guy Philippe, if a Transitional Government is put in place to replace following the departure of the Martelly government, he will remove Grand'Anse Department from the rest of the country. He criticized the CEP for the postponement of the January 24th election and concluded that the country can't function without a representative from his Department in the Senate. The only way he would allow a Provisional Government to take over is with proper representation from Grand'Anse.